LA APARIENCIA QUE TIENE UNA PELOTA EN UNA MANO, ESTÁ SUJETA A UNA IMPRESIÓN INTRÉPIDA. EL PRETECTOR ROJO EN RODILLA IZQUIERDA TAMBIÉN SE HA REPRODUCIDO. FAVOR DE AGREGAR DE LA FIGURA DEL JUGADOR HISASHI MITSUI QUE TIENE PARTICULARMENTE POPULAR ENTRE LOS MIEMBROS DE SOHOKU A LA COLECCIÓN. ENTREGA A CUALQUIER PARTE DE LA REPÚBLICA MEXICANA POR $90pesos. FIGURA SLAM DUNK TAKENORI AKAGI (Gori) Vol.4 The spirit collection of Inoue Takehiko. 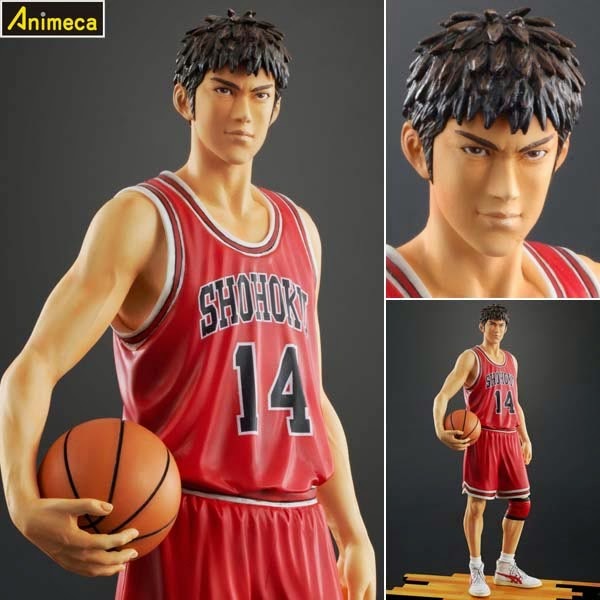 FIGURA SLAM DUNK KAEDE RUKAWA Vol.3 The spirit collection of Inoue Takehiko. FIGURA SLAM DUNK RYOTA MIYAGI Vol.2 The spirit collection of Inoue Takehiko. Desde Unknown HORARIO 11:16 a.m.